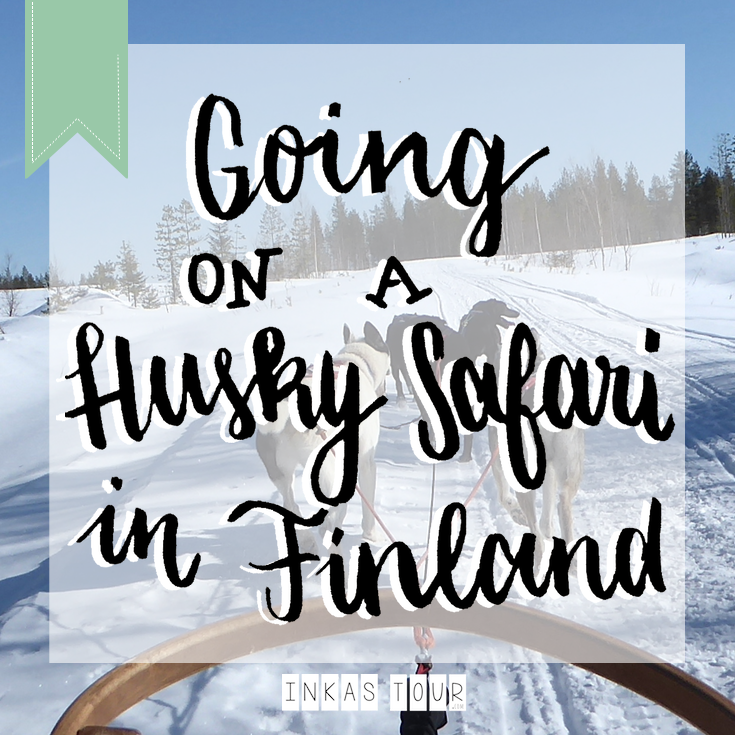 First of: You need to add a Husky Safari in Finland to your Bucket list as soon as possible, it will be the best thing you have ever experienced. If you have not already done so. Has there ever been something you really wanted to do and always do? But you knew that you could only do it once you were in a certain country because you felt like it belonged to that Country. Did you then feel the disappointment when you thought you were to late in the Season, Date or Time? But at the last minute Faith wanted to be different and fair, and let you complete that one thing? That is the exact emotional Rollercoaster Ride I had to take when I wanted to go on a Husky Safari while in Finland. Spoiler: It turned out to be the most amazing experience of my like whipping through the forest, over a frozen Lake on a Husky Safari in Finland. When the Idea of going to Finland first came into the talks with a friend, it was also on the top of the list for me to go on a Husky Safari. It was one of those moments, that I just knew it had to be Finland. While of course any Nordic Country can get the credit for it, and each one has a right to it. Both of us wanted to see Finland covered in Snow, it just felt Natural, it was the image you had in mind of Finland. Finding a time, where both of us were able to travel was not as easy, but then travel plans never are. It turned out it was the Middle of April when we were finally able to go. Now April is not a bad month, it was almost perfect. The Days where longer, the Streets where not so dangerous anymore for someone not so used to it, the Country was still covered in Snow, and it was still cold. So all around it felt like a Winter Holiday. But a portion of luck also had to do with it, that there was still snow in April. It is safe to say that the best time of going on a Husky Safari in Finland is from October until the end of March. In April, the best bet to be able to do a Husky Safari in Finland would be around the city of Rovaniemi. It was far enough North, but not too far North, besides it is only 6km from the Arctic Circle, and we were staying in the Santa Claus Village (with the Arctic Circle running through the Village) in a super cute Cabin for a Night, which made it all more the perfect Destination. I was so excited to be able to book the tour and be excited about the next day. Well, Faith wanted me to wait. I was told at the Reception of Santa Village, after a call to the Tour Operator, that there were not enough people booked on the tour yet, there needed to be a minimum for two, and that I should check back the next morning. With the last ounce of Hope, I went back in the Morning, and in-between three in the afternoon yesterday and the Morning three people have booked the Tour I wanted. You don’t know how excited I was and it was about to start an hour later. All four of us were from the Santa Claus Village and had gotten these beautiful suits, mittens and winter boots to wear. The Drive was about 15 minutes to the start point, where we could be greeted by our guide. Soon after a short introduction, we were already on our way. We would Team up and halfway through, we would switch spots, sitting or driving the sleigh. My Partner Charlie wanted to drive first, I had no problem with that. This was I got to enjoy the Scenery and enjoy the pure beauty of this amazing Landscape. Now I do believe we did go in circles, and I could see why it would be too easy to get lost in the Arctic or anywhere is relative little Landmarks, we did not. The Husky knew there way. Not one moment did I feel like they did not want to do this, sure they were raised to be Sled Dogs, but I felt like they really wanted to Run. The Job of the Driver was to turn the sleigh, by shifting your weight and for breaking. These Huskies would run RUN RUN RUN if you did not slow them down. I do not know how to describe it, how to articulate it, never did I feel like this would be such an amazing experience. I have been Skydiving, Bungee Jumping, and Paragliding but nothing beats the thrill of being able to Steer or Sit in the Sled, whipping through the Forest. With the beautiful Winter Wonderland Landscape changing the whole time, it was pure Joy. I could tell how my heart just wanted more, I could feel how it was so pure in that moment. So rarely do we have the feeling of feeling whole and complete, even for just a minute. Being out there in the “Wilderness” and just being almost free for an hour or two was the best experience anyone could have ever asked for. If you want to experience true beauty, but at the same time have a thrilling adventures adrenaline moment then you go to try this. I can not express how much and how beautiful it was. Oh and by the way; at the beginning of your Tour out Guide mentioned there is always one person that will fall off the sleigh, well YEAH that was me. It is so easily done, you just lose a millisecond of your focus or balance and your gone. Now try running with a snowsuit and boots up a hill in the snow. Well your not going to catch them. Charlie was saying afterward that it was quite scary tipping through the woods without a driver. HAHA well, nothing happened and they are used to it more than we know and think. Even though I was the one person, the one to fall of I would still not regret any moment of this whole adventure and would do it tomorrow again in a Heartbeat. Did I mention we drove on a Frozen Lake? Writing this now a couple of months later, it feels like it was just yesterday, all those emotion feeling thoughts and ideas are all coming back to mind, just thinking about it. Has there ever been something that you have experienced similar to this? Have you added a Husky to your Bucket list? A feeling of pure JOY that you somehow can just not forget?